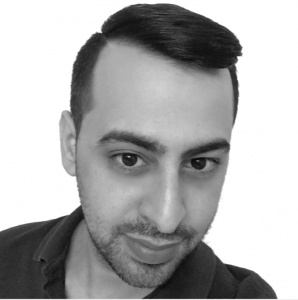 Ioannis Kourouklides pursued his four-year Master of Engineering (MEng) at Imperial College London in the fields of Electronic and Information Engineering, with specialization in Machine Learning, Optimization, Signal and Image Processing. He graduated in 2014 with a First Class Honours and his thesis involved applications of Computer Vision and Machine Learning in Mobile Robotics. In the summer of 2014, he joined the Centre for Medical Image Computing at the University College London. He was funded by the Engineering and Physical Science Research Council (EPSRC) of the UK government as part of the 2014 cohort of the EPSRC Centre for Doctoral Training in Medical Imaging. In 2016, he has worked at the Sustainable Energy Laboratory on ENERFUND, a Horizon 2020 project of the European Commission. His research interests include both applied and theoretical aspects of Machine Learning and Artificial Intelligence. In terms of industrial experience, he had had an internship with Broadcom, as a R&D Software Engineer before joining Citigroup for his six-month placement as a Software Developer in 2013. As a result, he managed to solidify his programming skills while working with huge legacy code as part of global diversified teams. Finally, he embraces a live entrepreneurial spirit.